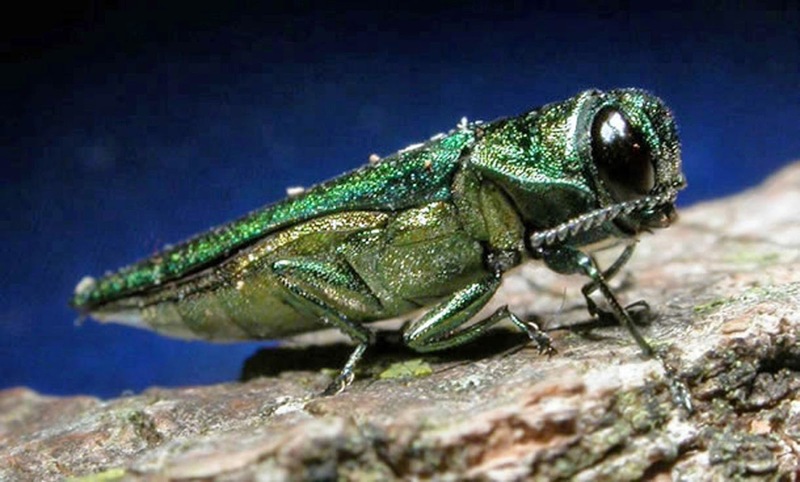 This week's polar vortex caused some of the coldest weather Midwesterners have seen in decades, but it brought with it a silver lining: scientists say the extreme cold could decimate the population of an invasive species called the emerald ash borer. The insect has been thriving in the upper Midwest because of warm temperatures. 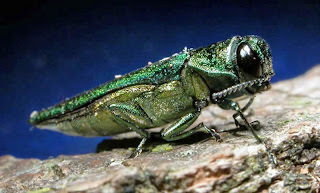 "Since the discovery of emerald ash borers in the U.S. in 2002, its larvae has destroyed tens of millions of ash trees. The exotic beetle, whose larvae nibble on the inside of ash trees' bark, can cause extensive damage to the way ash trees transport water and nutrients, Jeremy Hobson and Serena McMahon report for WBUR-FM in Boston. Lee Frelich, director at the University of Minnesota's Center for Forest Ecology, told Hobson that the cold can kill off the beetles' larvae if it can penetrate the ash trees' bark. "You have to remember the bark of trees is a really good insulator — it has to actually get colder than the air temperature in order to make it cold enough to kill through the bugs under the bark," Frelich said. Extreme cold (at least -40 degrees F.) can help kill off other insect pests too, he said, such as the mountain pine beetle.